If you would like to recognize a significant event or memorialize a loved one, you may want to consider purchasing a commemorative tile on the CHAM Tile Wall. 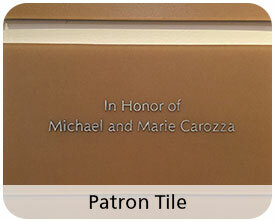 Your tile will also serve as a symbol of your commitment to the Children’s Hospital at Montefiore. 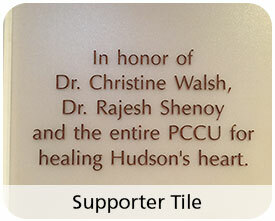 For a number of years, individuals, families, and hospital staff have chosen to honor and memorialize friends, loved ones, and colleagues by purchasing a tile on the Tile Wall. 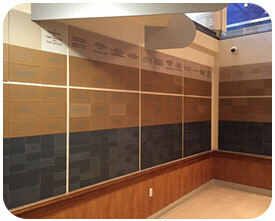 The wall serves as a wonderful reminder of those who have made a difference here at Montefiore. 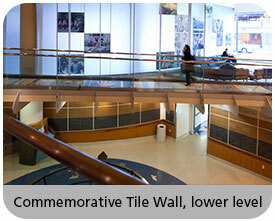 The Tile Wall is located in the lower level of the CHAM lobby, across from the Martin S. Davis Discovery Hall. 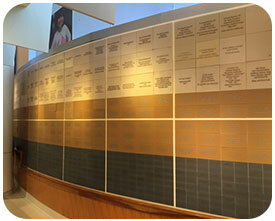 Accessible via elevator from the lobby or from the ground floor of the main hospital or research tower, the tile wall is in a unique location at a major thoroughfare between the Children’s Hospital and the main hospital. It is also adjacent to one of the hospital’s most unique fixtures, the Foucault pendulum, and forms the backdrop for our CHAM café. 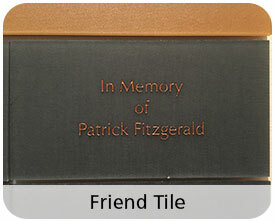 Creating a tile in memory of or in honor of a loved one is the perfect way to recognize their importance in your life, and will last as a permanent reminder of your thoughtfulness. Use our online order form below or print it out here to place your tile order. Tiles are installed approximately 6 weeks after receiving an order. For more information on the CHAM Tile Wall program, please contact Robert Tupper at rtupper@montefiore.org or 718-920-6455.